Compact Fluorescent (CFL) bulbs are between three and five times more efficient than standard incandescent light bulbs. 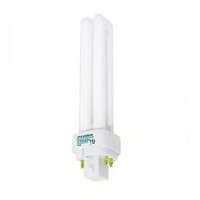 CFL lamps also last between ten and fifteen times longer than incandescent lamps. While compact fluorescent lamps are generally more expensive than incandescent lamps, they use up to five times less energy over the life of the bulb - saving you money. CFL bulbs have a lifespan of between 6,000 and 15,000 hours. Traditional incandescent lamps have a lifespan generally up to 1,000 hours. A CFL lamp over its lifetime will not only save you up to five times the energy cost compared to an incandescent, but will need to be replaced ten to fifteen times less. 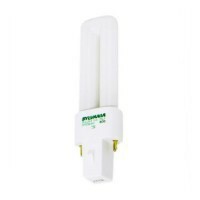 Self-ballasted compact fluorescent lamps are used in the same socket that traditional incandescent lamps are used. These CFL lamps come in various shapes and styles. 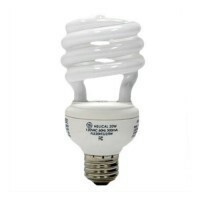 Spiral shaped CFLs have a similar size and shape to standard incandescent lamps. Flood lamps can be used in recessed or can fixtures, both for indoor and outdoor use. Plug-in compact fluorescents have either a two or four pin base. These lamps are not self-ballasted.